This year New Zealand commemorates the 100th ANZAC day since the first service in 1916. At the first service the Gallipoli campaign was fresh in everyone’s minds as per this quote from the ww100 website but attention was soon to turn to the Western Front. 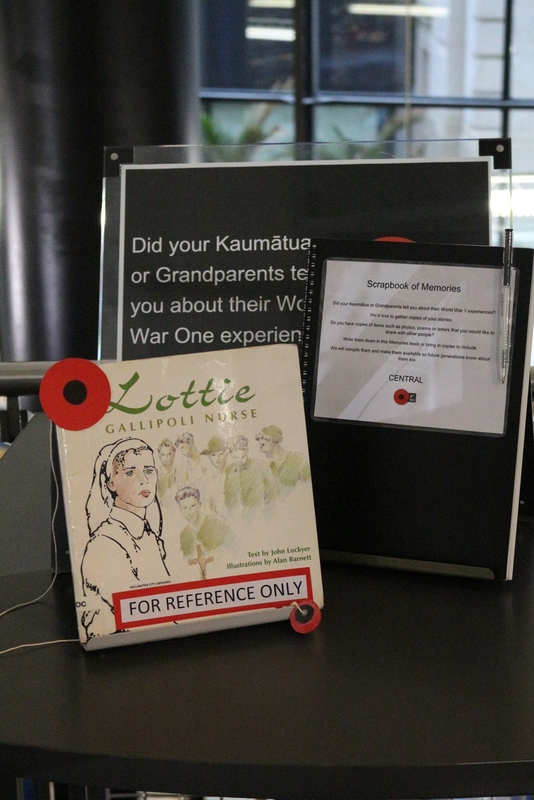 The Anzac Day library display on the 2nd floor of the Central library this year features the brochures of the WW100 website and the Ngā Tapuwae trails from two theaters of war. 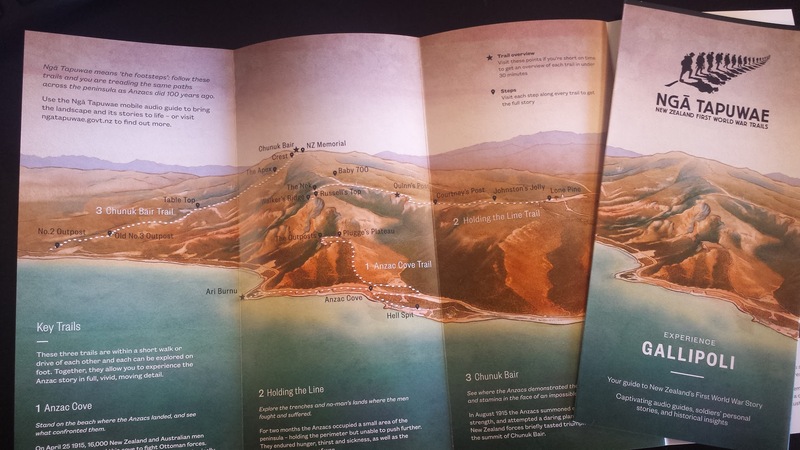 Ngā Tapuwae New Zealand First World War Trails is a WW100 legacy project that guides people through historic landscapes and sites of the First World War. These trails can be experienced in three ways. 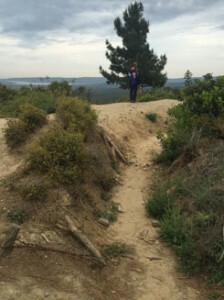 You can download the smartphone or tablet app, explore the trails on your computer, or print off the paper guides. They can be used as a self tour of the actual area or as a virtual online tour. 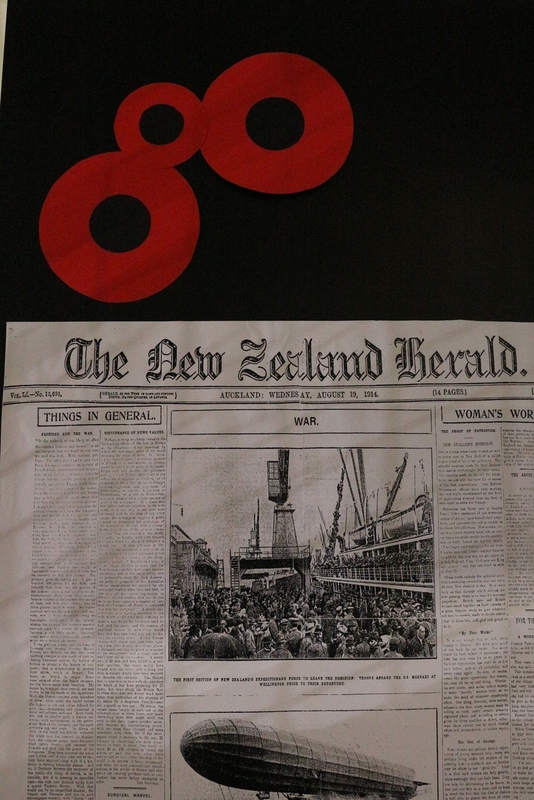 On 25 April 1915, thousands of New Zealand men landed on the Gallipoli Peninsula. 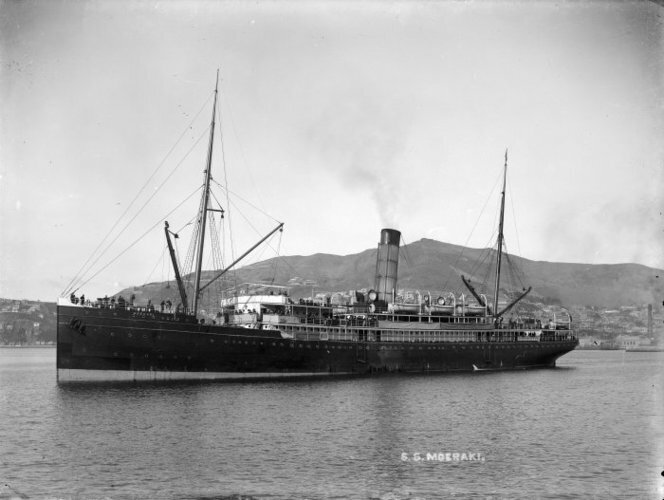 For eight long months, New Zealand troops, alongside those from Australia, Great Britain and Ireland, France, India, and Newfoundland battled harsh conditions and Ottoman forces desperately fighting to protect their homeland. Ngā Tapuwae Gallipoli guides you through five trails. Three key trails around Anzac Cove tell the essential Anzac story and include the Anzac landing, Quinn’s Post and Chunuk Bair, while two longer driving trails slightly further out on the Gallipoli peninsula cover the battles at Cape Helles and Hill 60. 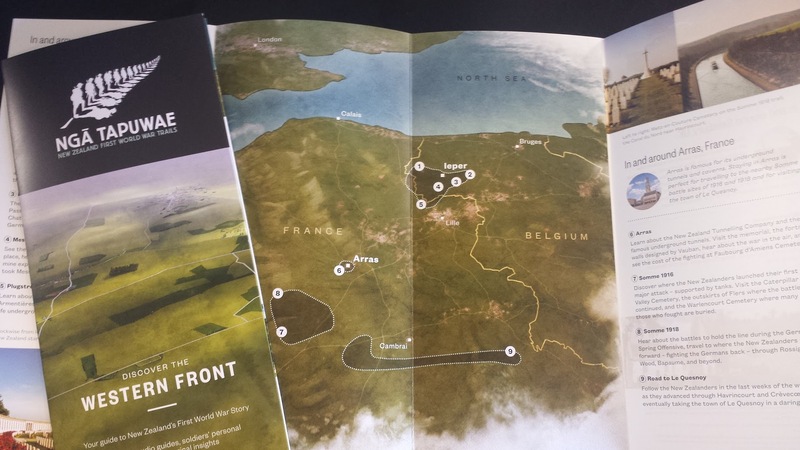 Ngā Tapuwae Western Front guides you through ten trails located in France, Belgium and the United Kingdom. The five trails in Belgium focus on the battlefields around Passchendaele and Messines, the four trails in France explore the famous Arras tunnels and Somme battlefields, and the trail in the United Kingdom lets you discover the former hospital grounds at Brockenhurst. 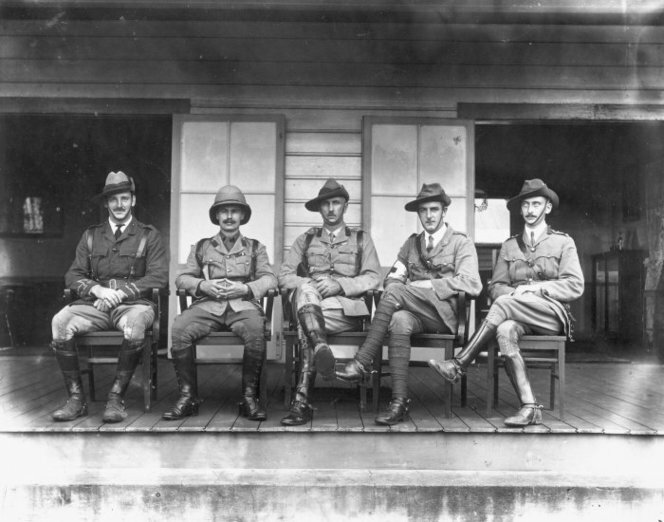 After their evacuation from Gallipoli, New Zealand troops were sent to the Western Front. 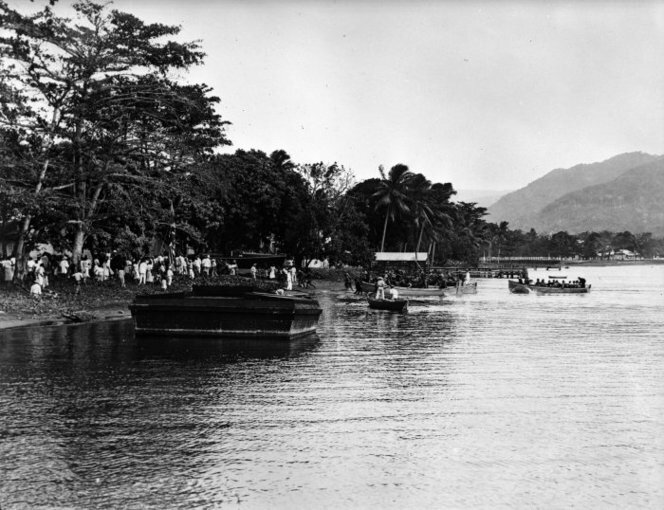 They were there from 1916 until after the end of the war, most returning home in 1919. 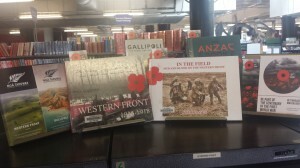 The Gallipoli campaign and the birth of the Anzac legend have captured the imagination of generations of New Zealanders. But it is on the Western Front where they experienced their most devastating losses. The other part of the Anzac Day display features a remembrance wall where you can leave a poppy with the name of one of your relatives or someone you want to remember who has served in the armed forces. 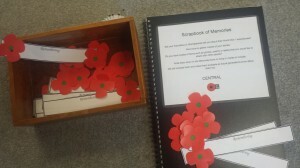 Just ask at the second floor desk for a poppy and tag. 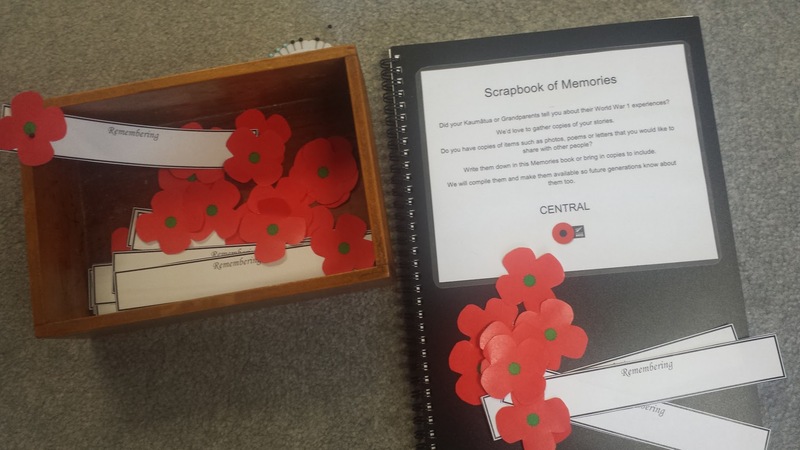 There is also a scrapbook of memories by the display where you can write down any family members World War one experiences that you may wish to share. “The heroes of war are publicly honoured, and their brave deeds are taught to children… (while) the heroes of peace most often go unrecognised.” So wrote Elsie Locke, in her introduction to Bread and Water, a memoir of New Zealand’s conscientious objectors. 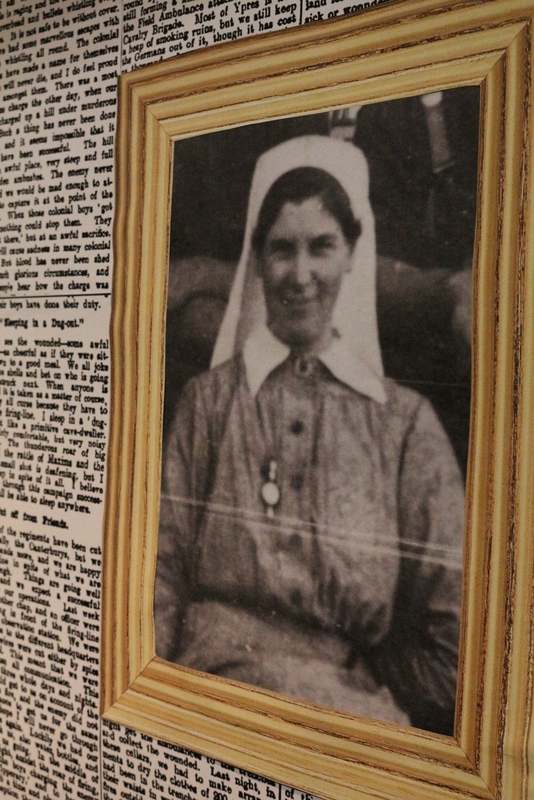 For now more than a year, New Zealand has remembered the sacrifices and experiences of soldiers, nurses and civilians who fought in the First World War. Conscientious objectors, however, are less often spoken of, and uneasily sit on the boundary between these two groups. These were men who, through pacifist, religious, and/or moral conviction, refused to participate in the war. 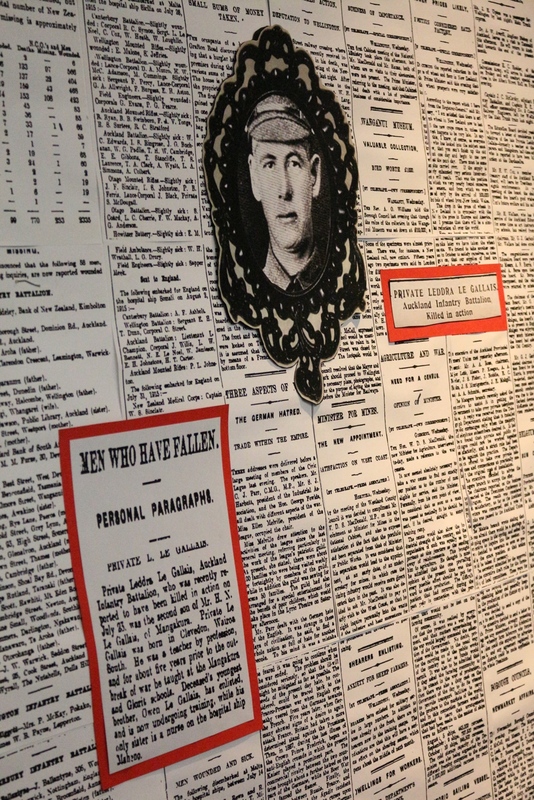 Although often overlooked in our cultural memory of New Zealand’s war experience, conscientious objectors, both around the world and in New Zealand, have certainly left traces in our history. 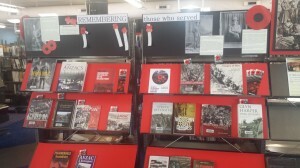 Here at the library, we’re equipped with resources to help you discover the lives and thinking of these men – and of their families and those who their decisions affected. King and Country Call, by Paul Baker, is a second book about the experience not only of conscientious objectors in WWI, but also about conscription, how it was introduced to New Zealand, and its consequences. It is available to borrow, again from the Central Library. Conscientious objectors’ lives and convictions are canvassed by the books above, and other titles in our library catalogue, but the details of their lives and beliefs, their principles in their own words, are often to be found in the details of life in archival sources. Army records and newspaper clippings give us another glimpse into conscientious objectors’ lives. 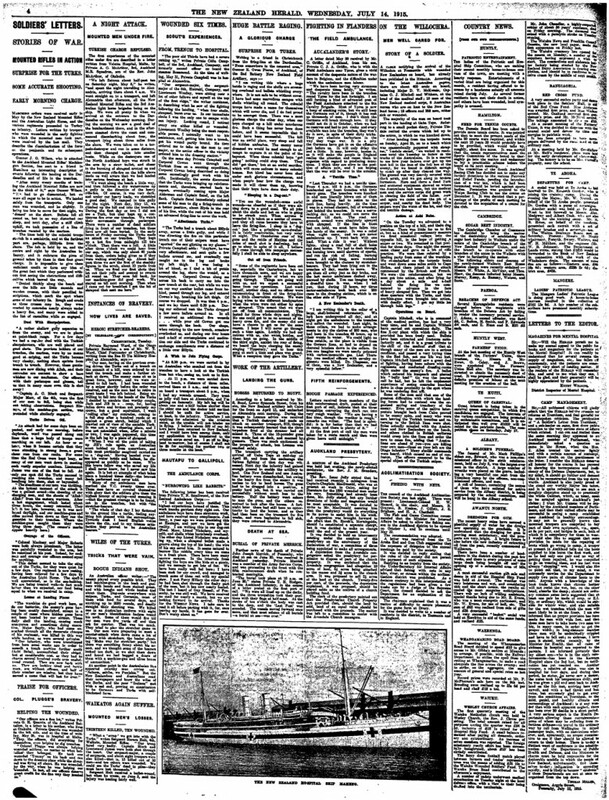 PapersPast is an invaluable online, searchable database of New Zealand newspapers from 1839 until 1948. A search for ‘conscientious objectors’ or the name of a particular figure brings up a huge number of resources. 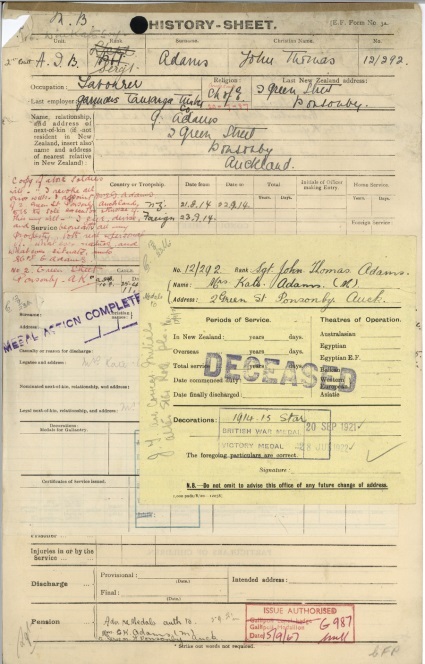 The National Archives, likewise, provide access to defence personnel files from WWI, which can be viewed online and include details of deployments, conduct and medical files – invaluable resources. Both these websites, along with many other resources useful for researching our history such as NZHistory.net and Te Ara, can be accessed from the free internet computers at any Wellington City Library. 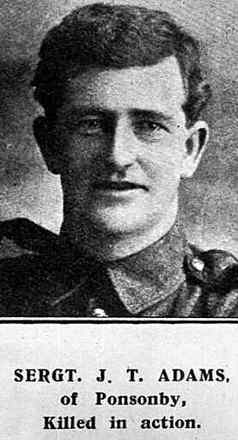 In Wellington, last year’s WW100 project honoured not only eight servicemen, and one nurse, but a conscientious objector born and bred in the region, Ernest Kilby of Island Bay. 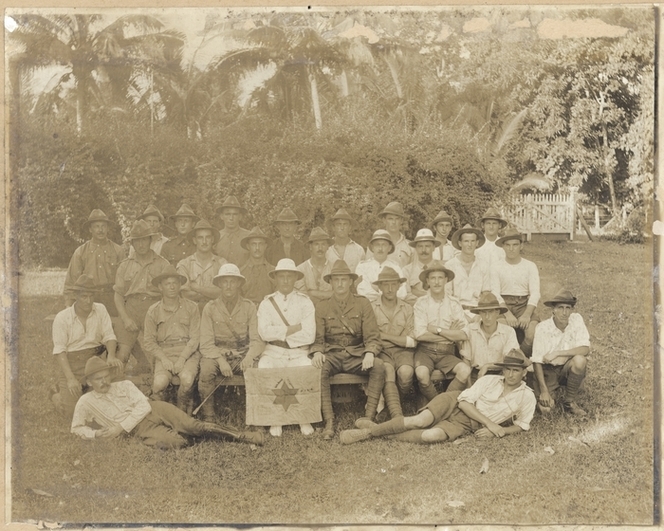 Ernest resisted conscription due to his Open Brethren Christian beliefs, and was imprisoned from 1917-1919. 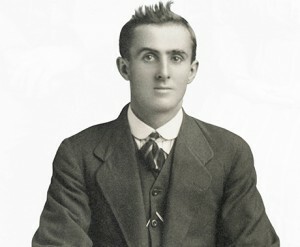 Ernest Kilby’s likeness and story were pasted up in Island Bay as part of the city’s war commemorations. His story, and background information, can be read on the council website. Accounts of Ernest’s conviction and various trials can also be read on the Papers Past online archive. Sometimes forgotten, but worth remembering, the conscientious objectors of the First World War still leave their legacy. WWI was the first instance of conscription in New Zealand, and one with mixed results. The resistance of the men who refused it, and their articulate reasons for doing so, provide a counterpoint to our dominant cultural narrative of the war. “Was a bit of an ordeal, but totally worth it. We caught a bus at 2.30pm from Istanbul down to Gallipoli. The first check point was bus registration. We queued for 2 hours in a line of buses for this. The bus was given a number and we were all given tags with the same number- so we could ID our bus at the other end. The next check point was for the people on the bus. Another hour of queuing. We all had to show our ballot passes and passports and were each given a wrist band, different ones for Aussies and Kiwis. Next we queued, again, for the disembarkation point. We got off the bus and queued for security screening into a holding park where there was, finally, hot food and drinks and toilets. 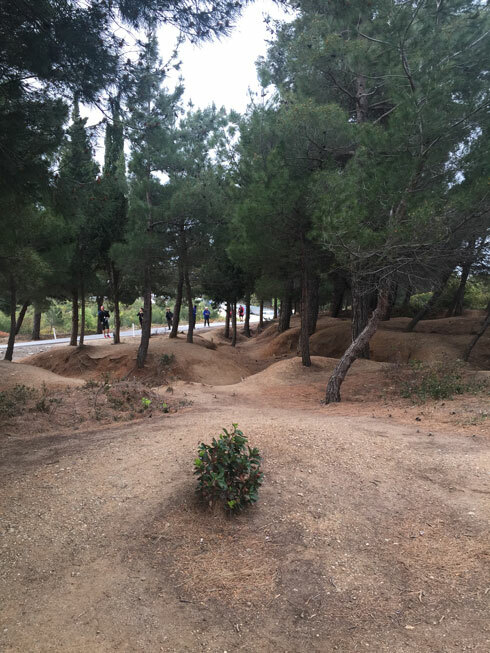 We left through the opposite side of the park, onto shuttle buses, then down to ANZAC Cove for a final security screening (and another wrist band to say we’d been cleared) and then a short walk to the commemorative site. We ended up getting there at 1.30am. The place seemed packed and only half the attendees were there at this stage. Eventually everyone had to stand for the last couple of hours to fit everyone in. There was an entertainment programme through the night with music, singing and documentaries. As dawn approached the lights went off and everyone went quiet in anticipation of the ceremony starting. 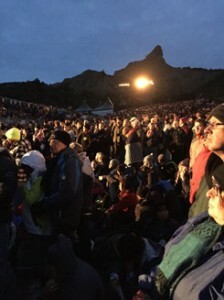 It was very moving occasion, much like the ceremonies at home but with the hills behind lit up to visually emphasise the feat achieved. 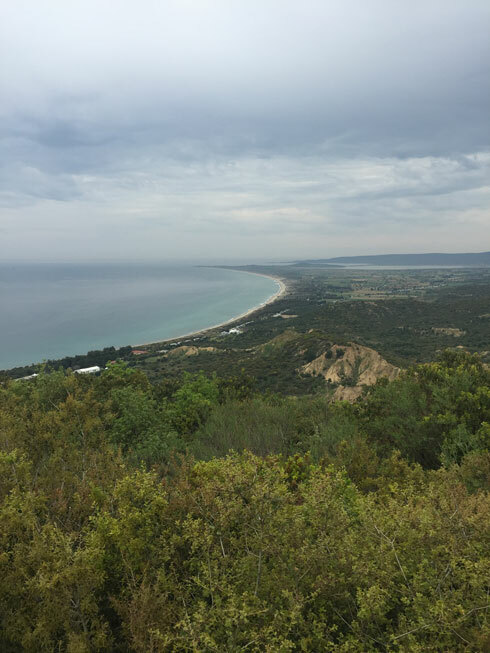 Afterwards we were released from ANZAC Cove in stages to start the walk up to Lone Pine and Chunuk Bair. The Kiwis had lots of time as our ceremony wasn’t starting until 1.45pm and there was only 2000 of us to get into the site. 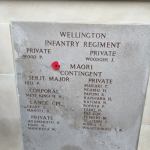 So we had a leisurely walk through the battlefields and cemeteries, using the Nga Tapuwae app as a guide and seeking out the Kiwi points of interest. Near Lone Pine. Turkish trenches just on other side of the road. The road is no-mans land where bodies piled up for weeks before a cease fire was agreed upon to collect and bury the dead. 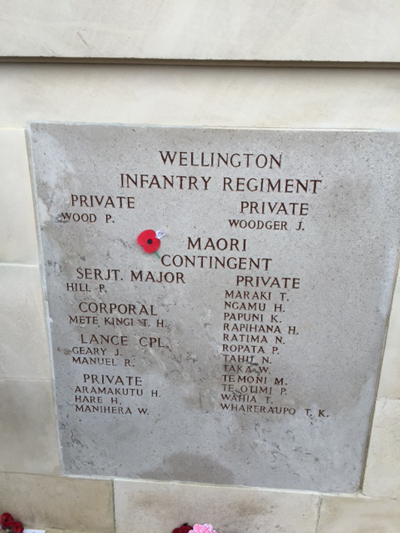 While we spent time looking for the Kiwi and Wellington graves, the reality is that the brutality of the fighting means there were few bodies to bury and it was difficult to identify remains with precision. Most of the dead are named on memorials and interred in mass graves under our feet. Many others are still unaccounted for and the battle fields are open graveyards – we found some bones and pieces of skull underfoot as we wandered around, which was thought-provoking. The location of this photo is the point where the book’s author, Lt Westmacott, got to with his soldiers before being wounded on 25th April and having to fall back. 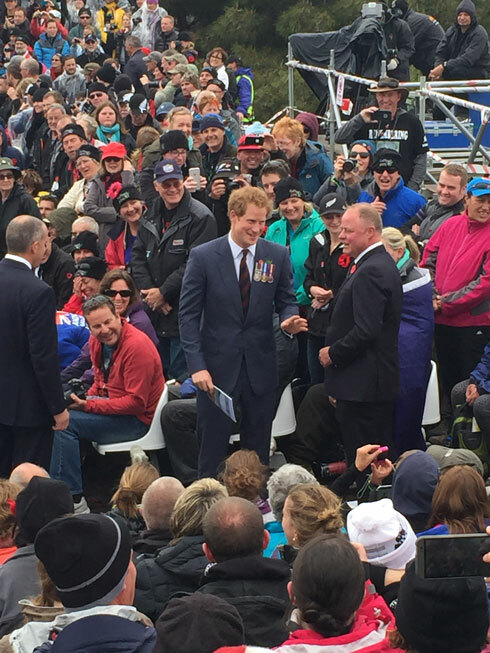 He’s one of the NZ heroes of ANZAC Day. 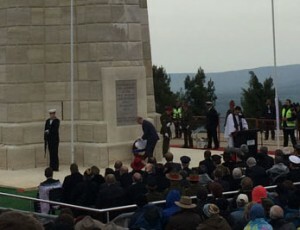 The NZ ceremony at Chunuk Bair was moving as it was especially significant for kiwis with waiata and speeches made with a focus on the kiwi efforts and achievements. 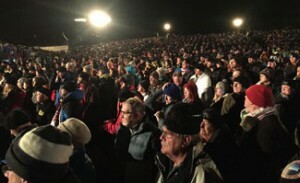 Before and after the Chunuk Bair ceremony we were entertained by the NZ Youth Ambassadors singing kiwi classics with the crowd of 2000 heartily singing along to keep warm and awake (we were well into our second period of 24 hours with no sleep at this stage, but spirits were high). We then had to wait for our buses to collect us. 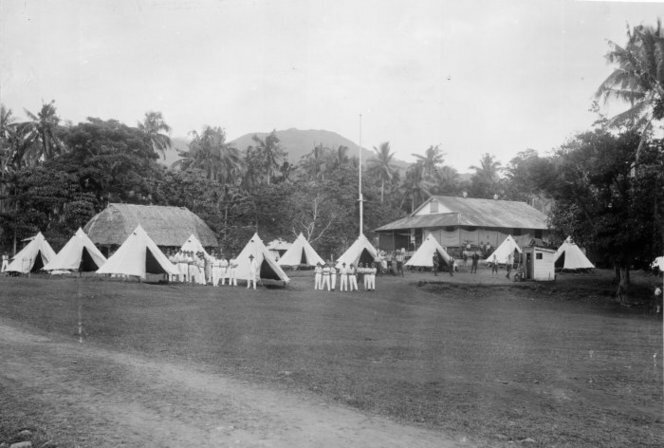 They were going to Lone Pine first to pick up the Aussies from their ceremony before collecting us. The bus numbers were slowly being called out but with around 300 buses involved it was going to be a long wait. In the end we waited 5 hours for our bus to arrive, which gave us time the reflect on history and the day, and chat to fellows Kiwis. As it started to get cold the NZDF started handing out cups of hot tea and soup and kept everyone’s spirits up. Hi everyone! My name is Adrienne and I’m the Children’s and Young Adult Services Coordinator for Wellington City Libraries. 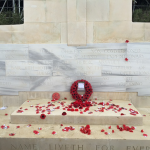 This month I have headed to Turkey to attend the 2015 ANZAC Commemorations at Gallipoli. 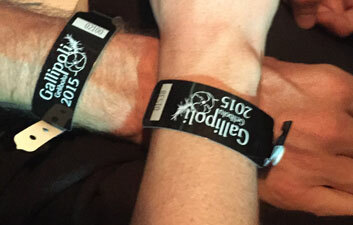 I was fortunate to receive a double pass to the event as part of the Government-run ballot system. Not only am I a librarian, I also serve as a Medic in the New Zealand Army Reserve and have a history of military service amongst my family, so the event will have special meaning for me. My first step was to do a little bit of research into my family history. Ancestry Library (access from library computers only) was my first stop as it gives me access to records of family members – births, deaths, marriages, immigration, military service, employment and more. I typed in known family members’ names and had a look at the information and connections returned from the search. 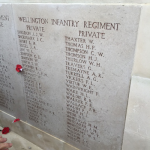 While I found no family members that served at Gallipoli, I did come across a number of previously unknown ancestors that fought in World War One, some of which returned home and others that didn’t. 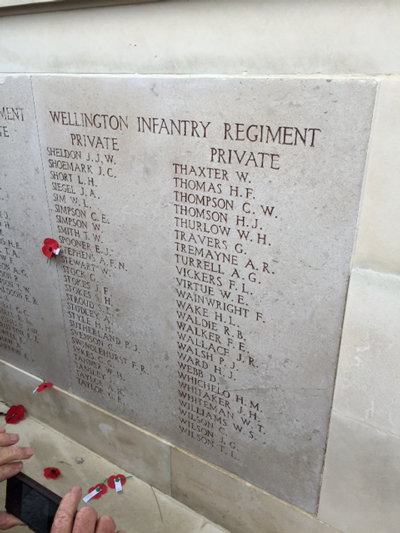 It was incredible to find out about my grandfather’s cousins who fought at the Somme. 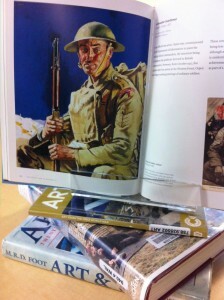 Next I searched the catalogue to locate books about the Gallipoli battles. 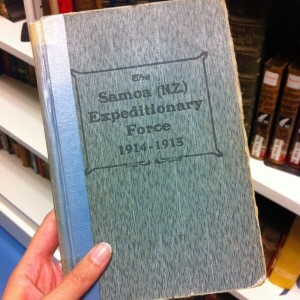 There’s an incredible array of materials available – from histories and analyses, personal accounts, battlefield guides, and on the aftermath and impact on New Zealand. 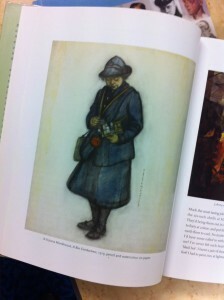 One fascinating book detailed New Zealand nurses’ experiences in World War One, titled Anzac girls : the extraordinary story of our World War I nurses (also in eBook). There are also books that portray the Turkish perspective of the battle and it occurred to me that it seems incredible that they let us arrive in our droves each year to celebrate the day we invaded their country. It just goes to show the mutual respect the countries involved have for each other. 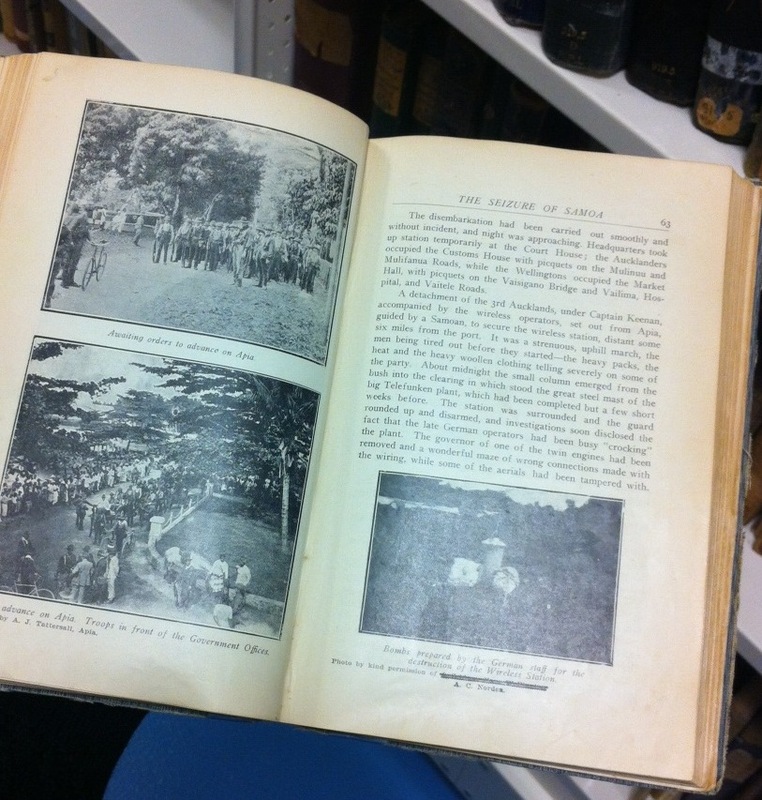 You can find these books in the 940s section in the Central Library. I’m intending to tour around Turkey for a couple of weeks after ANZAC Day, so off to the section of travel guides I went. I found guides for Turkey as a whole, but also separately for Istanbul. These have been extremely helpful in planning my trip and making bookings. Travel guides are expensive to purchase, so it was great to use the library ones for planning and to see which guides I liked the best before buying one to take with me. I also browsed through some language guides (which can be found in the 400s), so I could attempt to wrap my tongue around the Turkish language. I used the Mango Languages app to help with this too (available free to Wellington City Libraries’ members). Lastly, I had 24hrs of flying to get there, and will have another 24hrs to get back, and many hours sitting on buses in between. There’s only so many movies that can sustain me; eventually I’m going to need to have something to read. I’m planning on travelling light, so eBooks, eMagazines, and eAudiobooks are ideal and Wellington City Libraries has all of these available for free download. There’s so much variety that the most difficult task so far has been choosing which titles to choose. I’ve downloaded a number of eBooks and eAudiobooks from Bolinda and Overdrive, and downloaded some magazines from Zinio. 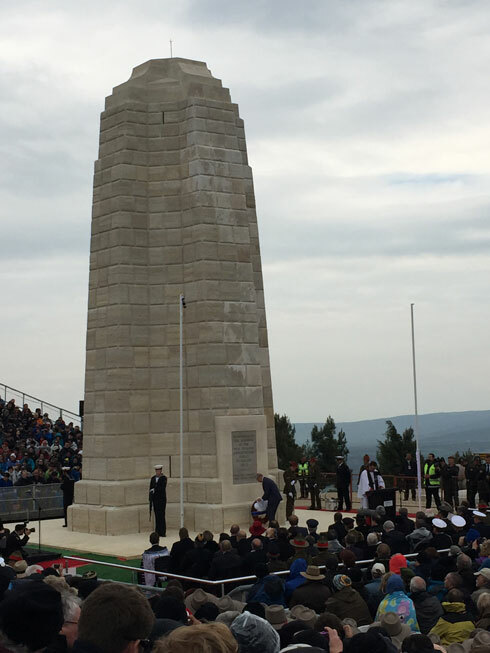 I’ll be posting some photos, videos, and reports from ANZAC Day at Gallipoli here and on our Twitter and Facebook accounts. 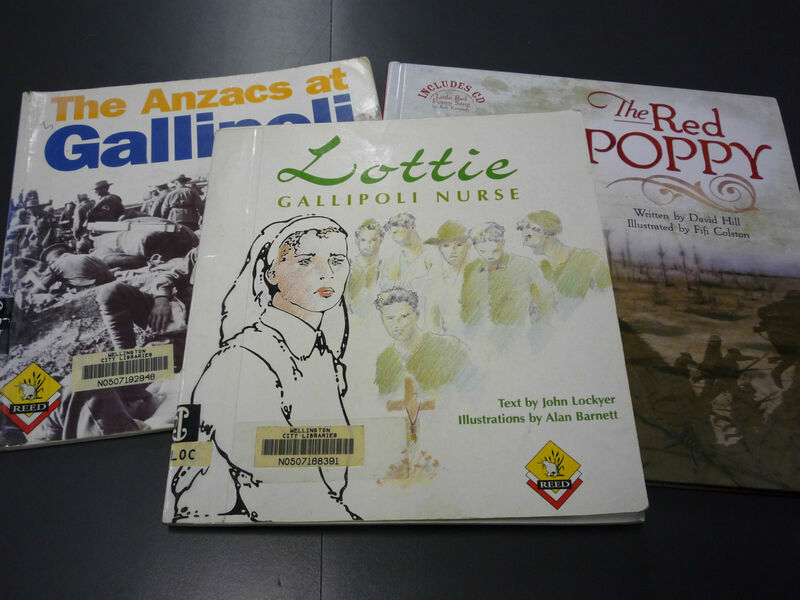 For the past year, in the lead up to the Centenary of the Gallipoli landings, Wellington City librarians have been producing a series of contributions highlighting various aspects of our collection where you can find resources related to this major historical event. 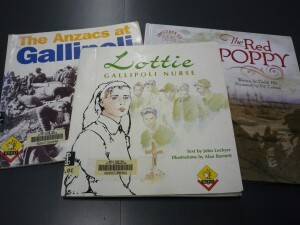 Our latest addition, inspired by a recent blog post http://bit.ly/1DNZ48J about Charlotte Le Gallais, one of the nurses who went to Gallipoli on the Maheno hospital ship, is a large scale exhibition about her story, highlighting the various online resources available for history and ancestry research. 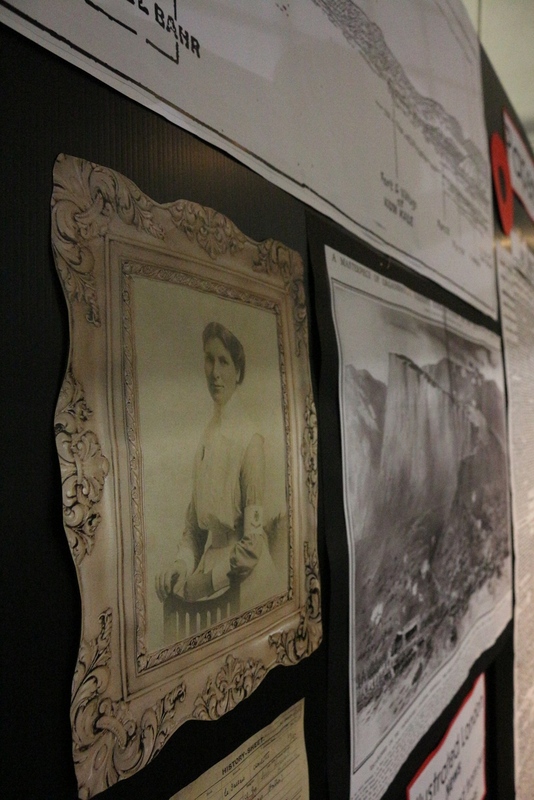 Come to the Central Library and discover her fascinating story. 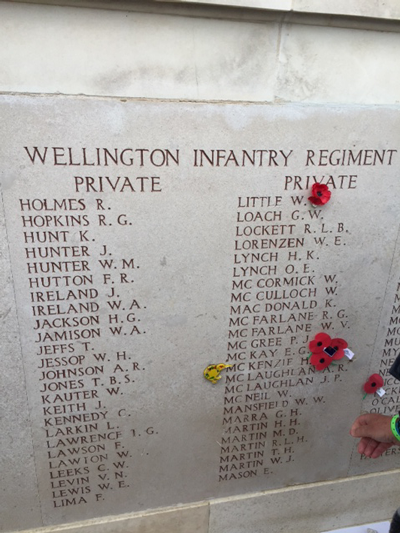 Since our troops landed there on 25 April 1915, Gallipoli has been a destination of great significance for New Zealanders of all ages. 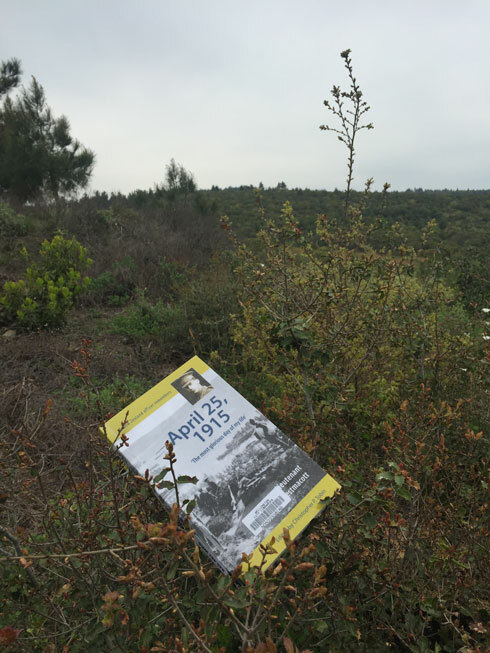 The trek to Gallipoli is even more meaningful this year, as we mark the centenary of those landings. Some 2000 New Zealanders and 8000 Australians will gather at the Dawn Service on Gallipoli Peninsula to remember the soldiers of our two countries who fought together there as ‘ANZACs’. 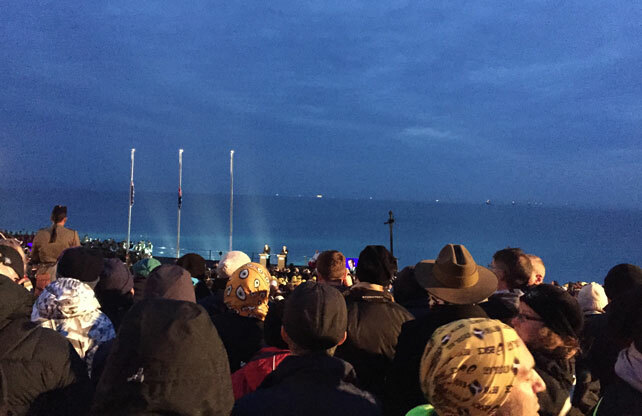 We will reflect on the passing of 100 years since the 25 April landing at Anzac Cove and the birth of ‘the Anzac spirit’. 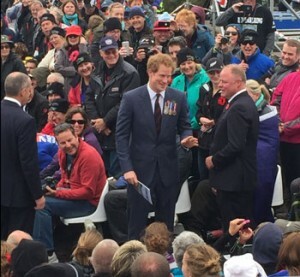 And for all Kiwis it will be a time to reflect on what the bitter Gallipoli campaign meant for our developing identity as a nation. For many of those gathering at the commemorative site, it will also be a deeply personal experience. 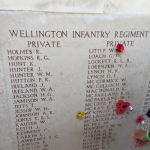 As we camp out under the stars on the eve of the Dawn Service, we will be thinking of relatives who fought at the Dardanelles – like my great-uncle Jack, of the 16th (Waikato) Company, 2nd Battalion, Auckland Infantry Regiment, who took part in the landing on 25 April 1915. 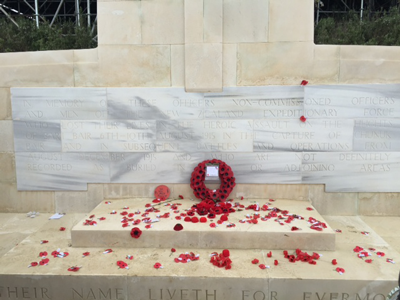 Graves or memorials to most of the approximately 2700 New Zealanders who died at Gallipoli are in 24 cemeteries dotted around the peninsula. Besides attending the Dawn Service, some visitors will have time to explore the significant cemeteries, battlefields and other sites. 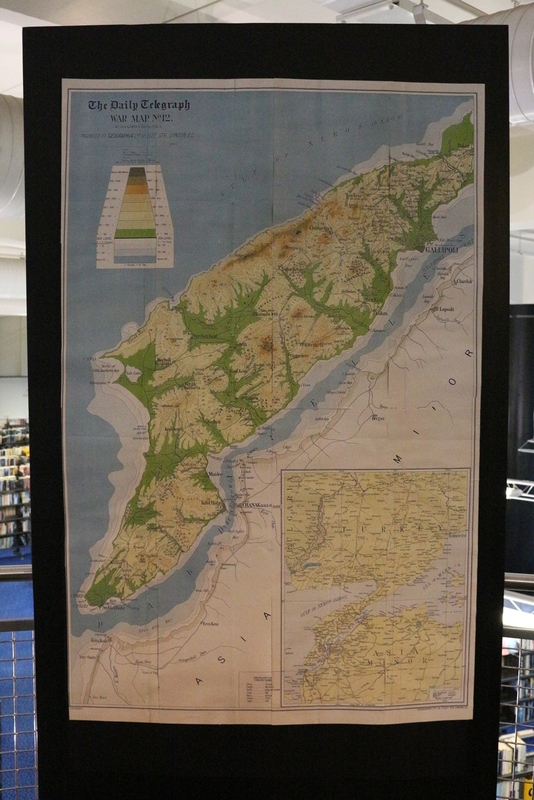 Many of the travel guides (like those published by Lonely Planet) have basic information about places of historical importance on the peninsula, but the library also has several more detailed guidebooks. 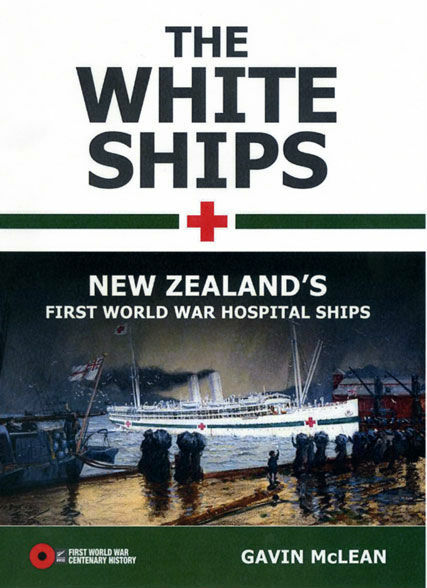 These are essential reading for those visiting Gallipoli and are full of details to help anyone interested in the campaign to gain some understanding of the place where so many young New Zealanders fought and died. Gallipoli : a guide to New Zealand battlefields and memorials / Ian McGibbon. 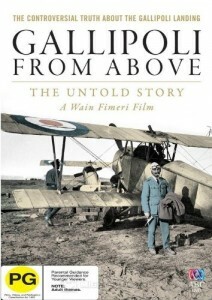 Gallipoli : the battlefield guide / Mat McLachlan. 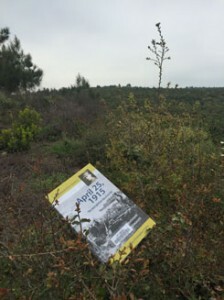 Turn right at Istanbul : a walk on the Gallipoli Peninsula / Tony Wright. 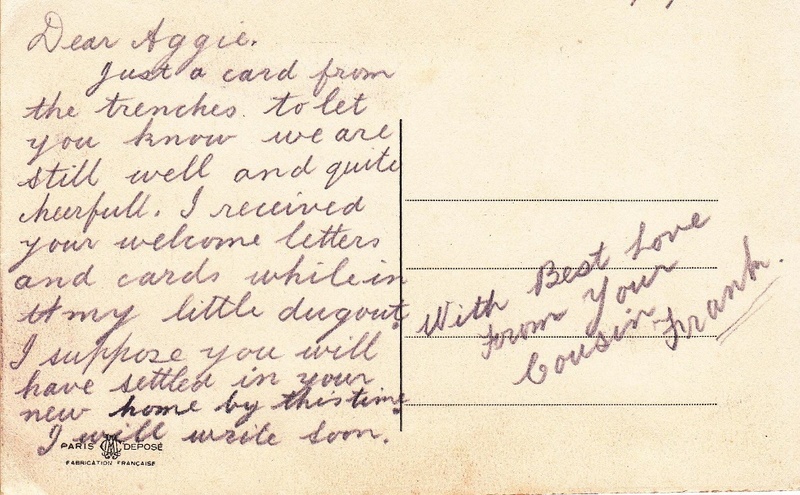 Drawing from my family archive, the library’s local and NZ history specialist and I have prepared a display of original letters and postcards sent from the trenches. Other interesting pieces of WW1 memorabilia include battalion insignia and a New Testament issued to the troops. 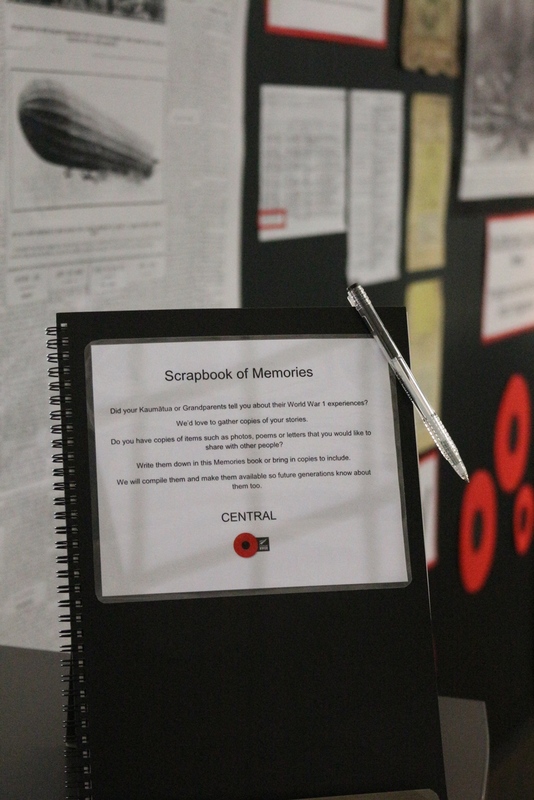 Be sure to take a look at these items in the display case on the Second Floor of the Central Library. 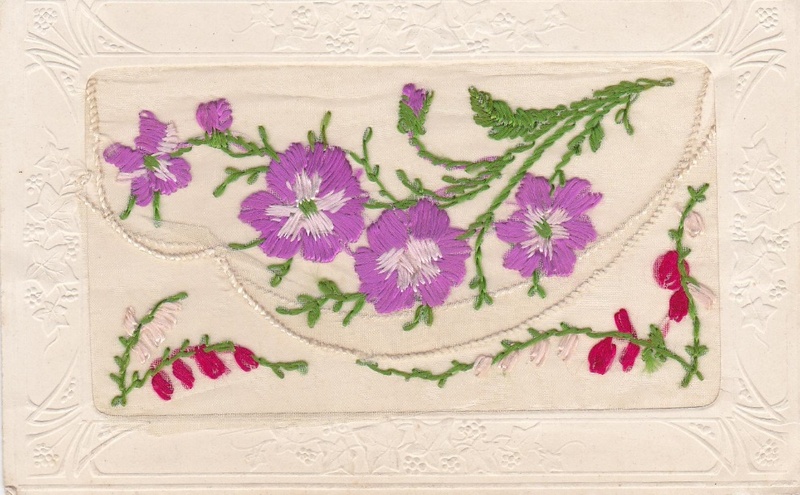 Here is a close-up of a postcard in the display, sent from France in December 1916. 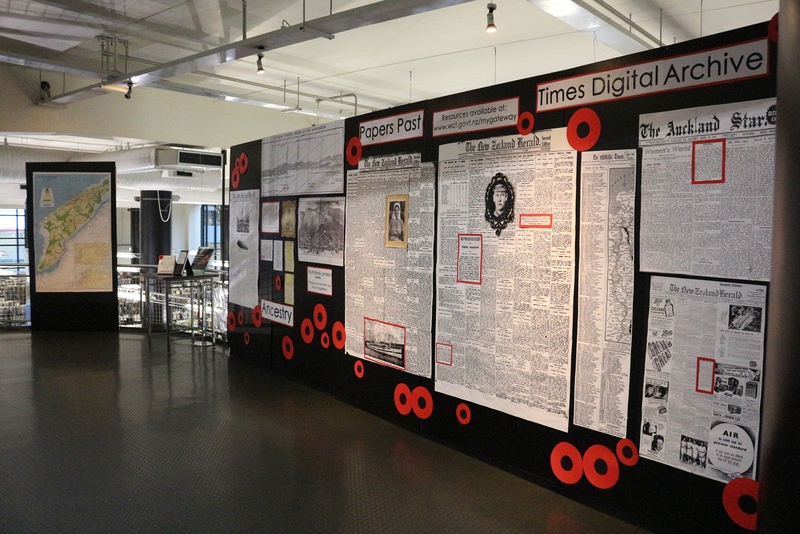 Reading correspondence from those terrible years is often heartwrenching and the stories and letters in this display certainly convey the pain and sadness of the war. Click here to listen to a Radio New Zealand interview of Michael Williams, Waikato-based composer who has been working on writing Letters From The Front, his first symphony. He matches letters from the First World War with musical movements and it will debut performed by the New Zealand Symphony Orchestra in April to coincide with Anzac Day commemorations.